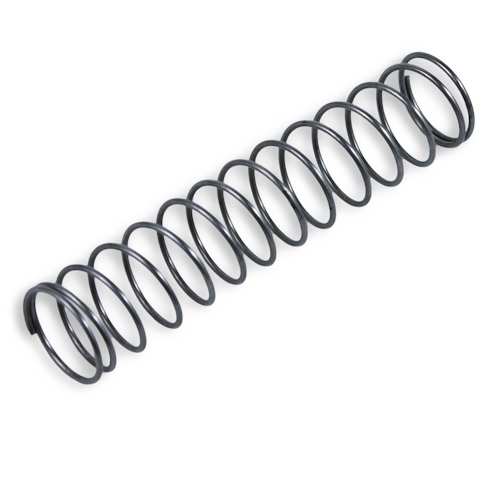 With this 10kg spring, the Longshot can achieve 80-100 fps and shoot up to 70-75 feet flat. IMPORTANT! The stock trigger catch spring had trouble holding back the 2.5x spring, so be prepared to replace or double up on the catch spring. The stock Longshot bolt sled is much flimsier compared to that of the Recon and other CS series blasters, and it is already showing signs of wear after only a few shots. This spring will require two hand priming if you have a stock bolt sled.